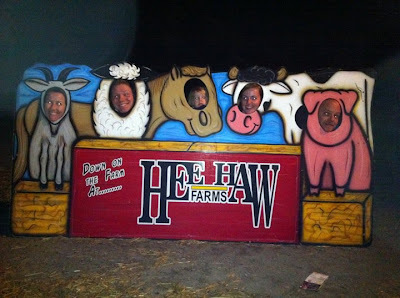 A few weeks ago I went with my singles family home evening group to Hee Haw Farms. 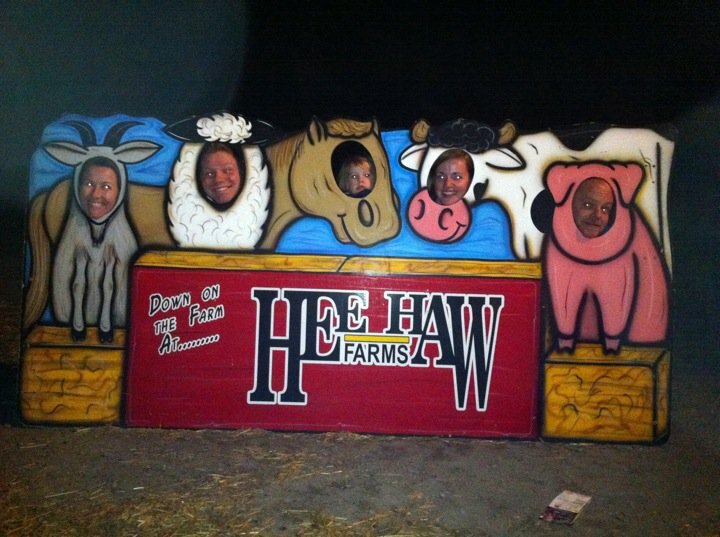 We paid to go through the corn maze and thought it would be fun to go on the haunted hayride. We did the hay ride first. I'm not really a fan of haunted houses but this really didn't feel like something I was going to be freaked out in. Our group got on this trailer full of hay that was being pulled behind a vehicle. Initially we were all facing forward but before the ride started, we realized that it would probably be best if everyone faced outward so as to not get surprised by something or someone. The ride started and it was going pretty good. I was just enjoying seeing the girls freak out by all the spooks (people in scary costumes running around trying to scare people). In fact I was most afraid of Rosa as she jumped all over the trailer in an effort to avoid the spooks. But mostly I spent the ride just laughing. But at one point during the ride I had turned around to watch what was happening behind me on the other side of the trailer. When I turned around there was this guy right there in my face less than a foot away. Needless to say, it caught me off guard. My response? I slapped him! I wasn't sure which was more surprising that I got physical with him or that I slapped him. :) A punch would have been more manly but I'm not sure I was really looking to hurt him. 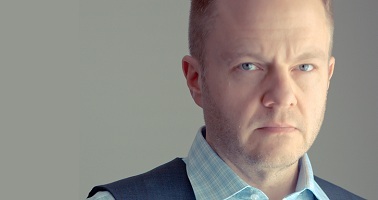 I just wanted his face somewhere other than in mine. As the ride continued he came up to me again trying to be scary saying, "Don't hit me again." (I'm glad he didn't realize it was a slap.) I just replied, "Dude, I'm sorry. It was just a reflex." When the ride was done as I retold my story, everyone seemed impressed with my manly slapping.